Intensive English language instruction embedded within an outdoor activity focused Summer camp on the stunning Algarve coast in a world class International Boarding School campus. activities the beautiful Algarve region is known for. The course is relevant to all English language levels and is delivered by the accomplished, native English language teachers from the Nobel International School, Algarve. The Summer School offers an individualised intensive English language course and allows students to progress through the course as they develop greater fluency to ensure the optimum level of learning for each student. 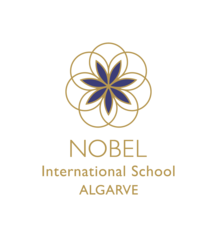 At the Nobel Algarve Summer English language school, students rapidly develop advanced language skills under the tuition of professionally qualified English teachers. in topics including History and The Arts. Language topics are chosen to encourage lively discussions in class with the emphasis on improved listening and speaking skills which is facilitated by using a wide range of classroom activities including drama.